Recipe submitted by: Lynn Picard, Executive Vice President / General Manager, Lifetime Television Network. 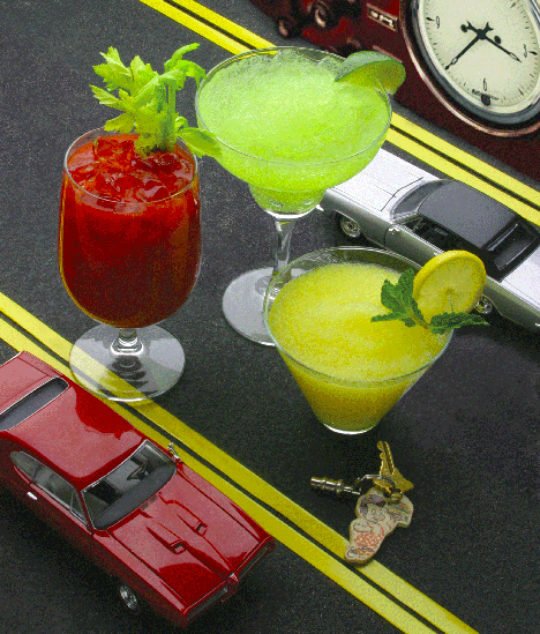 These non-alcoholic “mock-tails” allow you to enjoy a delicious taste without any of the side effects of alcohol. If you’re feeling brave, add a touch of hot sauce to the tomato juice to spice up your night. Enjoy responsibly if you do drink alcohol and make sure to pick a designated driver before you go out. Stir in a mixing glass and pour over ice cubes. Strain off into a large cocktail glass. This recipe makes 1 (4-ounce) serving.